Would you like clear intelligible speech in your voice communications system? Would you like to clean up your noisy audio recordings? 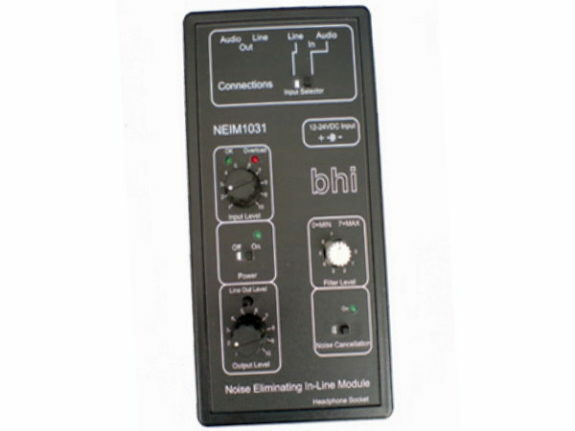 The NEIM1031MKII Noise Eliminating In-line Module uses Digital Signal Processing (DSP) technology to remove unwanted background noise and interference from speech signals, to leave clear speech! The NEIM1031MKII will greatly improve the clarity and intelligibility of speech in a variety of radio communication applications. It is suitable for use with amateur radio & commercial HF radio equipment, scanning receivers, CB radio, two-way radio, headsets, marine communications, taxi base stations, processing of noisy audio signals and recordings, pre-processing for voice control applications.